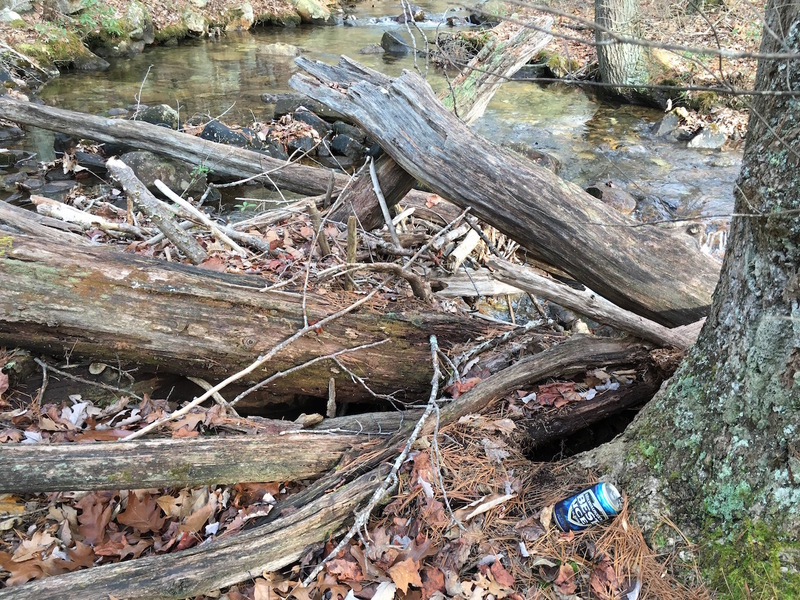 Colonial­ era dams in Yaphank are causing higher water temperatures in parts of the Carmans River and should be removed or opened, environmental advocates say. The groups Defend H2O and Sea­Run Brook Trout Coalition say the dams create thermal pollution by artificially spreading out the water and slowing it down, allowing it to collect heat. Restoring the flow would reduce temperatures, halt the spread of invasive species and return natural fish passage routes to the river, reducing the need for costly dredging and other treatments, they say. These dams have been there since the 1700s, and seems like the only appeal they have now is related to the lakes they hold back. People there like the lakes. It’s always a question of values. 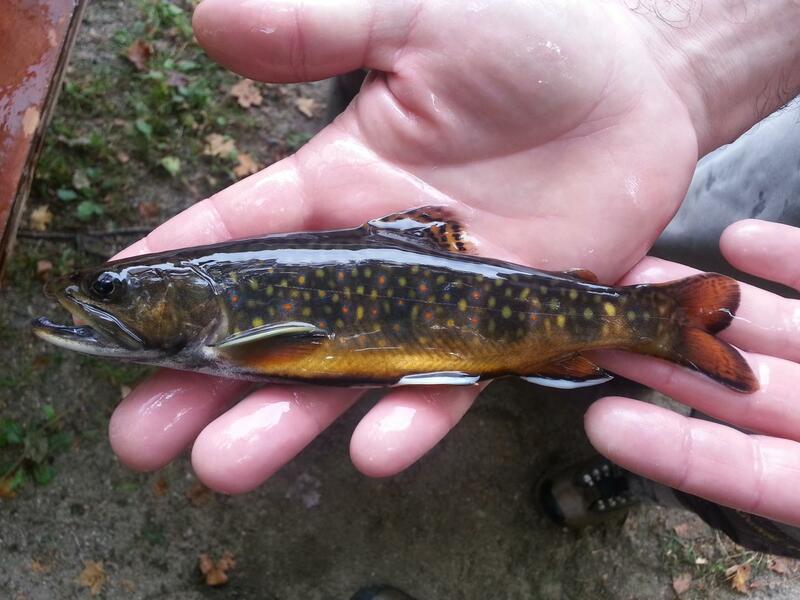 Brook trout are on the verge of being extirpated in so many places. On Long Island, the Carmans is one of a just a few rivers that still have populations of brook trout, which used to be everywhere in the greater New York City area. Now, it’s just another remnant population barely hanging on. 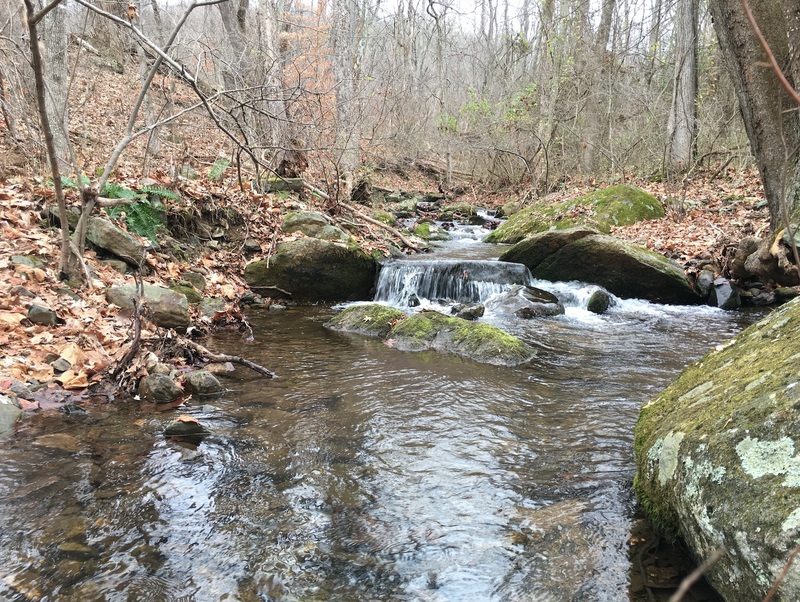 Their goal: to maintain that 38-square mile area, in northern Carroll and Baltimore counties, with its 60 miles of streams that are home to one-fourth of Maryland’s brook trout. Only the Savage River Watershed, in Garrett County, boasts more fish. 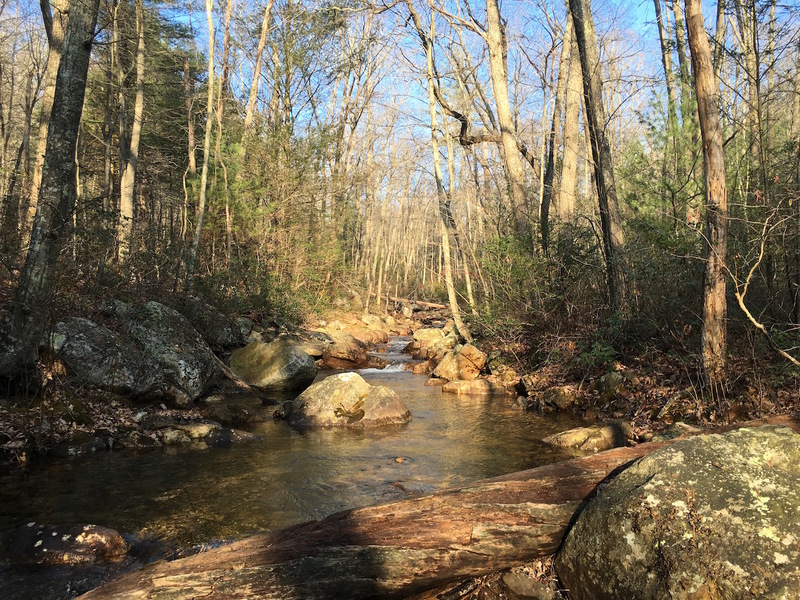 “This cluster of streams [in the Gunpowder] is one of the last Eastern outposts of brook trout that isn’t in the Appalachian Mountains,” said Mark Staley, central region manager for Inland Fisheries. If you’re out there catching native trout then you may be interested in contributing photos and data to TroutBlitz, Trout Unlimited’s initiative to catalog North America’s salmonids. It’s based on the concept of a BioBlitz, but instead of just 24 hours this is an ongoing effort. Use this guide to help you do it correctly. They have apps for iOS and Android, too (see the main TroutBlitz page, links at the bottom). And if you’re looking for new places to find fish, this is another good resource. The results of a 15-year study of factors affecting brook trout survival show that the biggest issues are higher summertime temperatures and “extreme rain” events. Due to climate change, these trends are probably going to continue. Brook trout may evolve, if given enough time, to adapt to these changing conditions. Unfortunately, these changes may outpace this kind of evolution. 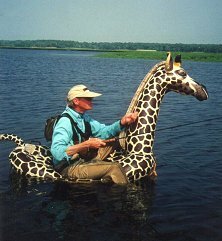 This is not a review of any of the latest fly rods. Rather, it’s a look at the collection of rods that I’ve spent a lot of time fishing on small streams. I still own each of them. They are all discontinued or superseded by something fancier, but that doesn’t mean they aren’t worthy. The little Streamlight is an inexpensive and surprisingly good small stream fly rod. With a four weight line it leans toward the faster end of moderate action, but it still throws small dry flies well enough, especially when the wind kicks up a little. It’s only a two-piece rod, but that’s kind of nice when you’re gearing up, just twist it together and go. For durability and carefree bashing-through-the-woods kind of fishing, it’s been great and still gets some use. Props to LL Bean for making some good, affordable fly rods and having an outstanding warranty on everything they sell. This is one of those rods that you don’t hear much about anymore. It is the rod I grab when fishing medium to large streams and rivers for trout, and I use it a lot for nymphing. But it is also fine for fishing dry flies. Very good, in fact. For brook trout on small streams and casting short lengths of line or just the leader, it’s not a awful. Using this rod opened my eyes to the benefits of using a longer stick and keeping line off the water more easily on little creeks. It’s probably considered a faster action design, but not like some of Sage’s truly fast action offerings, like the old TCX, and others currently in Sage’s enormous catalog. The FLi is a sweet casting rod. It is an interesting stick to go back to now that there is renewed attention to fast action designs that are a little toned-down, a little more moderate, while still being able to throw long casts. I think the FLi is a rod in that spirit. Even if its fast-action cred is not quite the same, it’s still an easy rod for rocketing long casts (at least as five weight rods go) and covers a wide range of fishing situations. Winston makes great fly rods, and this is one of the sweetest lightweight dry fly rods I’ve ever tried. It’s telepathic in helping you put a small fly into a pocket the size of a dessert plate consistently. The only things that cause it some trouble are wind and “larger” fish. 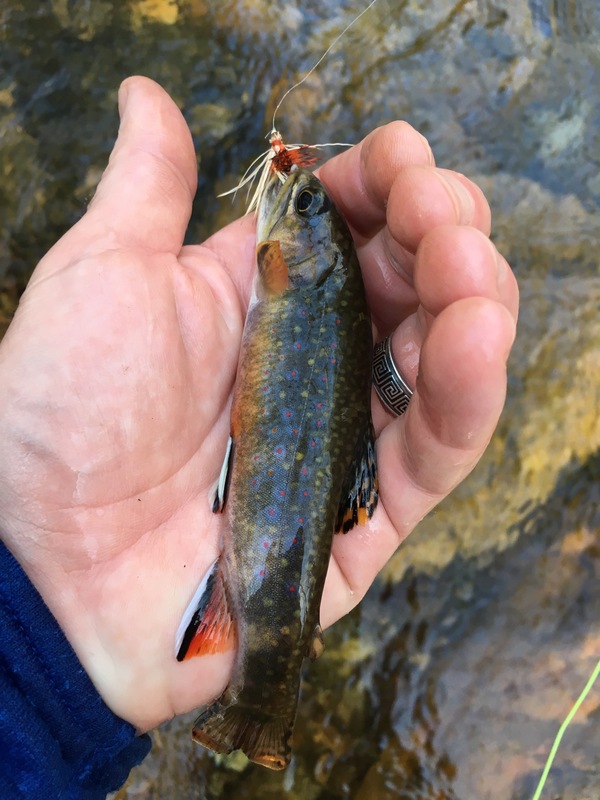 The latter is probably due to my ham-fisted landing technique, but I have lost a couple brook trout over twelve inches using this rod. Both times, it was a rodeo, the rod bucking and bouncing while I tried to scoop the fish without a net, and both times the debacle ended with the fish bouncing off the hook and into the drink. 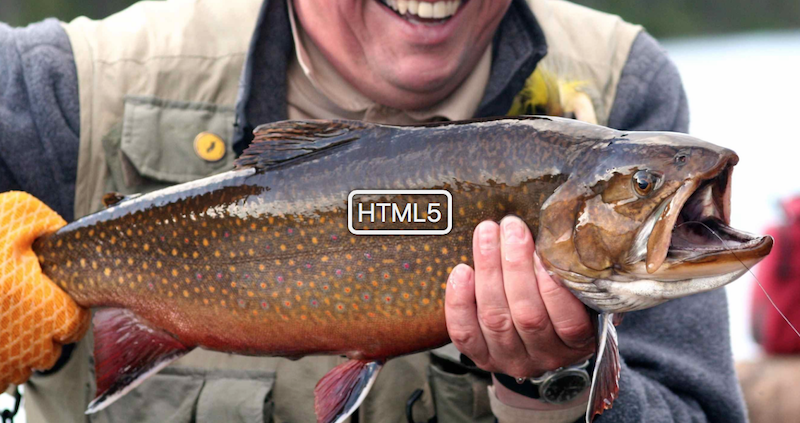 And after each of those incidents, it would be a while before I found another brook trout that size… and I was not happy. Again, probably more my fault than the rod’s, though. Then… there is the sublime Scott G 845/5. When I first got this rod, I wasn’t sure what to think of it. It has a wispy, moderate action that no one would describe as anywhere near fast. Not exactly like a glass rod, but it’s in that realm. I put my father-in-law’s old Lamson LP reel with a four weight line on it right away. I haven’t even tried a five weight line on it, though I’m sure it would handle it well. It is every bit the sweet dry fly caster the Winston WT is. The 8’4″ length is nice to have on tiny streams, and it’s not so unwieldy when bushwhacking as I originally feared. And unlike my Winston, the Scott has power when you need it. I can send out fifty foot casts effortlessly, and longer casts with some attention. I routinely use it for ten footers to soft pockets on brook trout streams, and it does that in the most casual and certain way. 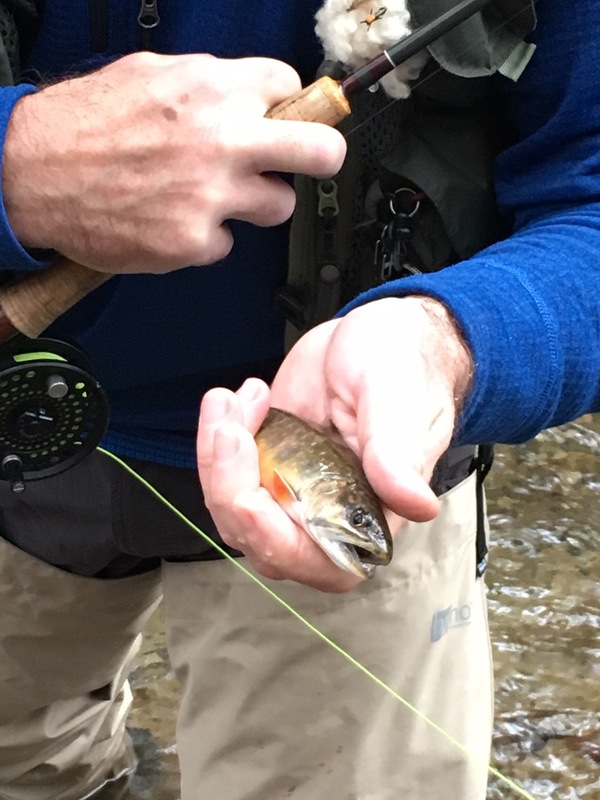 It has become my go-to fly rod for all kinds of trout fishing. In Yellowstone this summer, I fished nothing else and landed several cutthroats up to nineteen inches and felt completely confident with it. Yeah, I’ll use the word — this rod is magic, or pretty close. It’s earned its place as my favorite. 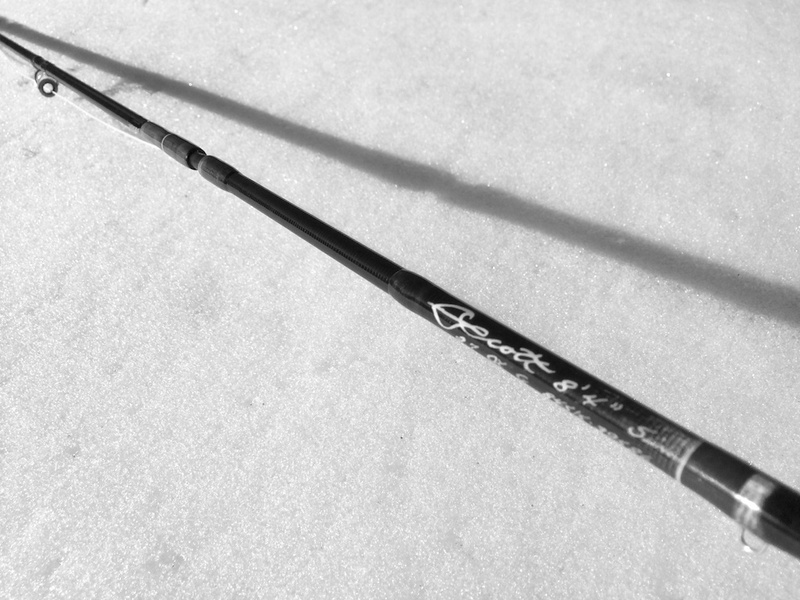 For some interesting historical info, you can read what Larry Kenney, former owner and/or head designer of Scott Fly Rods (can never find good info about that…), says about this rod. So now, it’s time to clear out some gear, and I think the Winston WT is the rod that has to go. What it does overlaps with the Scott too much. I really don’t want to part with it, but it’s just been sitting in its tube for a year now while the other rods get fished. Someone else should enjoy it. Ping me if you’re interested. Otherwise, it’ll be on eBay soon. Maybe… or it just may stay. Hard to get rid of a good fly rod, no matter how much sense it seems to make some days. 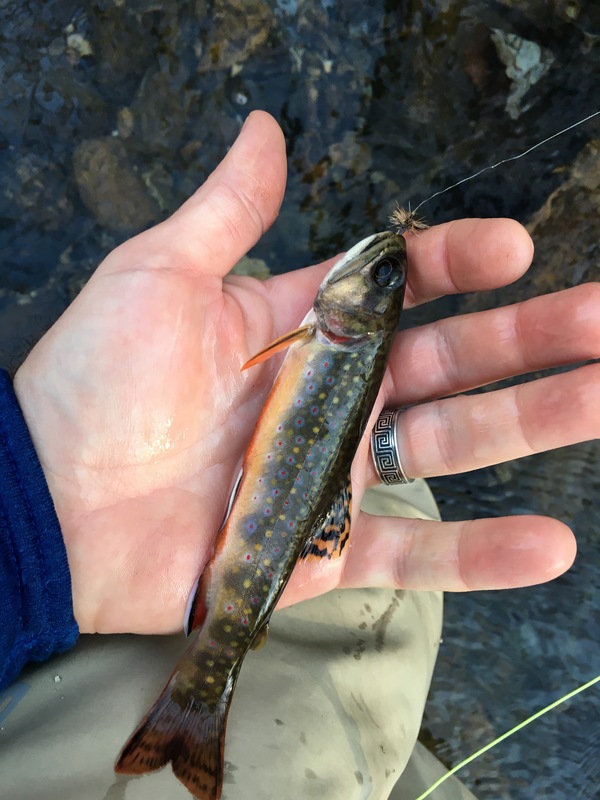 If you’ve fished for brook trout in and around Shenandoah National Park, you’re no doubt familiar with the Rose River and the town of Syria, Virginia. And you’ve probably driven by Graves Mountain Lodge. The Piedmont Virginian recently published an interesting article about the history of Graves Mountain Lodge (summary only, the rest is behind a paywall), which is worth checking out. If you’re in the area fishing the Rose, or the Robinson, Hughes, Rapidan, Conway, or any of the other great brook trout streams in the area, lodging at Graves Mountain is an option, which I’ve never tried and never considered until reading this article. They have motel rooms and several cabins. You can also camp there year-round. And they have a restaurant. 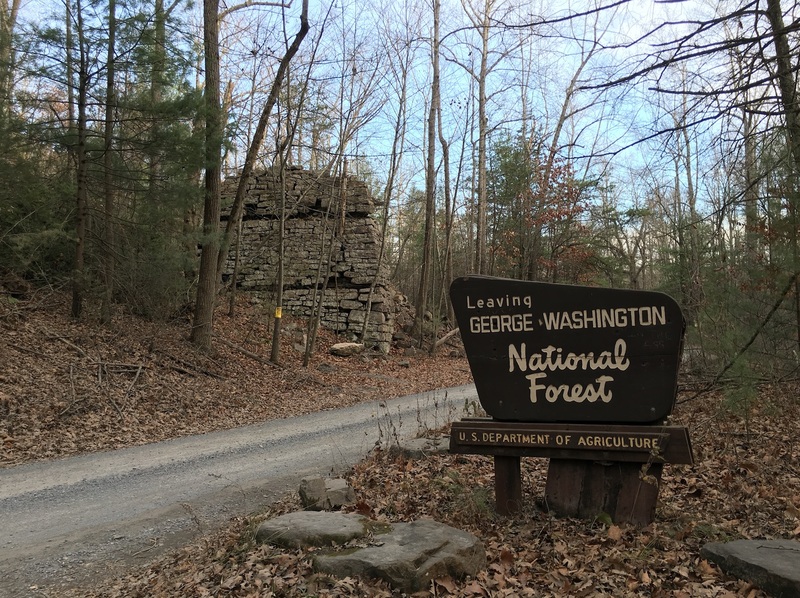 It’s an option to roughing it in a tent in Shenandoah National Park or the Rapidan Wildlife Management Area (by the way, recently found another site with good info about the Rapidan WMA, despite it not having been updated in a few years). To be fair, I should note that we only fished Xcalak (it’s pronounced (“Shka-lak”) for four days, and that we pointedly ignored suggestions to hire a guide; on a Gartside expedition, one survives on one’s own skills, going fishless if necessary. Hiring a guide is considered both decadent and an admission of failure — akin to having a pizza delivered while scaling Mount Everest. Exactly my philosophy, with occasional exceptions. Every year, when the weather gets cooler and gray, I go through the Jack Gartside fly tying books I’ve bought and try some new patterns. The guy was a fly tying genius. Very sad that I never had a chance to meet him.